Meat consumption in the GCC states, where meat features heavily in traditional diets, is predicted to climb to 4.3 million tonnes by 2019, according to the recent GCC Food Industry Report study by research house Alpen Capital . This will be highlighted at the new Meat & Poultry sector, one of eight dedicated segments at the upcoming Gulfood exhibition in Dubai, UAE. The 22nd edition will run at the Dubai World Trade Centre (DWTC) from February 26 to March 2. It has attracted 259 exhibitors from 35 countries including the biggest sector names from South America, Australia, the Far East, North America and Russia. The region’s increase in meat consumption is in line with the rising global trend of consumption of protein-rich foods, particularly organic and healthy produce with a strong, branded and most often halal provenance. Agriculture consultancy Clarity estimates the region’s demand for organic food indicates a market worth about $1.5 billion by 2018. 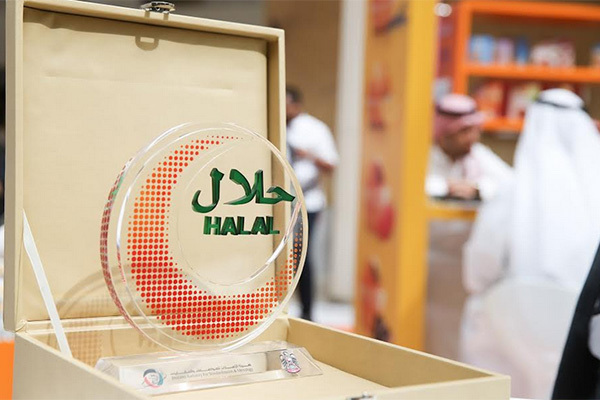 The growth in organic food consumption has not gone unnoticed with the Halal Food Information Centre saying success in the GCC could depend on fulfilling this demand. “GCC populations have changed their consumption patterns by turning to more healthy food products,” the centre said. Region-wide health awareness campaigns are being credited with driving demand for healthier food as many consumers now pay more attention to their diet. This in turn has led to an increase in number of producers vying for a share of a market that is increasingly seeking healthy and trusted food sources. “Exhibitor feedback from 35 countries participating suggests this year’s show is uncovering new regional trends with demand for healthier options, especially organic products, on an upward curve,” explained Trixie LohMirmand, senior vice president, Exhibitions & Events Management, DWTC. Keen to outline why its products are right for the health-conscious family at the Meat & Poultry sector is Banvit ME, the UAE-based subsidiary of Turkish poultry producer Banvit. Banvit will be showcasing its range of poultry products from whole chickens to additive-free processed products including popcorn and chicken burgers. “Chicken is a very healthy source of protein consumed by different age and socio economic groups. Per capita consumption is around 40 kg in GCC and we expect it to increase in the future as well,” said Murat Kunt, General Manager, Banvit ME FZE. The US Meat Export Federation (USMEF) says its members are looking for a wider reach when they take part in the show’s ‘Taste of the USA’ pavilion. Brazilian Trade and Investment Promotion Agency (Apex-Brasil) is bringing its largest delegation to date with 87 companies exhibiting. The Meat & Poultry sector is one of eight dedicated segments now housed within Gulfood, the world’s largest food and hospitality trade platform, which takes up all DWTC’s available indoor exhibition space and purpose-built temporary structures. The segmented approach is aimed at ensuring buyers make the most productive use of their time at the event by being able to more easily and effectively navigate it. The other features are: Beverages; Dairy; Fats & Oils; Health, Wellness &Free-from; Pulses, Grains &Cereals; Power Brands and World Food.